Radha Krishna is personification of love, passion and devotion. Radha’s love for Krishna symbolizes the intense longing and willingness for the ultimate unification with God. Sri Krishna is the soul of Radha and Radha is definitely the soul of Shri Krishna. The whole universe material and spiritual is the creation of Shri Radha – Krishna. Shri Radha is the presiding Goddess of Shri Krishna. The Paramatma – supreme Lord – is obedient to her. In her absence Shri Krishna does not exist. 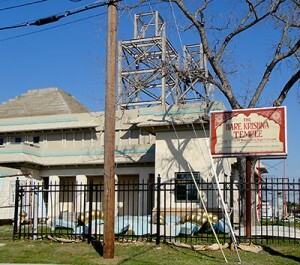 Houston residents have a beautifully carved temple of Sri Radha Krishna at Houston exclusively for all the hindu devotees. The various Pooja Services which are done at the temple are – Morning Archna, Morning Prasad for Dieties, General Puja, Satya Narayan Puja, Homa/Havan & Puja both, Namkaran, Mundan (first hair cut), Upnayana (Brahm-updesh), Vahan (New Vehicle) Puja, New House(Grah Pravesh) Puja & Havan, Marriage engagement Priest services, Marriage ceremony Priest services. The daily Pooja schedule is Mangala Aarti & Darshan from 6:30 AM to 7:30 AM , Sringar Preparation from 7:30 AM to 9:30 AM, Sringar Darshan from 9:30 AM to 11:30 AM, Raj Bhog from 11:30 AM to 12:00 PM and Aaarti Darshan from 12:00 to 12:30 PM. In the evening schedule is Sandhya Darshan from 4:30 PM to 6:30 PM, Maha Prasad Offering from 6:30 PM to 7:00 PM, Sandhya Aarti & Darshan from 7:00 PM to 7:30 PM, Shayan Sringar Change from 7:30 PM to 8:00 PM, Shayan Aarti & Darshan from 8:00 PM to 8:10 PM. Every Tuesday and Saturday Hanuman Chalisa, Sankat Mochan & Aarti is recited from 7:15 PM to 7:30 PM. Sri Radha Krishna Temple is located at 11625 Beechnut St, Houston, TX 77072, The easy directions to reach if one is coming from Highway is – Take Beechnut Street Exit (which is between Bissonnet and Bellaire). Drive about 4.4 miles towards East side (Hwy 59 Direction), as you pass Eldridge Parkway, Synott, Cook and S. Kirkwood Road). The red brick Temple is on your right hand side after Wal-Mart and then Post Office. The temple timings are from 6:30 AM – 12:30 PM and 4:30 PM to 8:10 Pm on weekdays. On weekends the timings are from 6:30 AM to 12:30 PM and 4:30 PM to 9:10 PM .